By Ibrahim Imam – In a sudden political twist, 252 Special Advisers and Special Assistants of Governor Aminu Waziri Tambuwal of Sokoto State on Sunday resigned their positions, even as they pledged their loyalty to the All Progressive Congress (APC). The Governor’s aides said since their appointment was at the instance of APC, they see no reason why they should abandon the party and move to the Peoples Democratic Party (PDP). 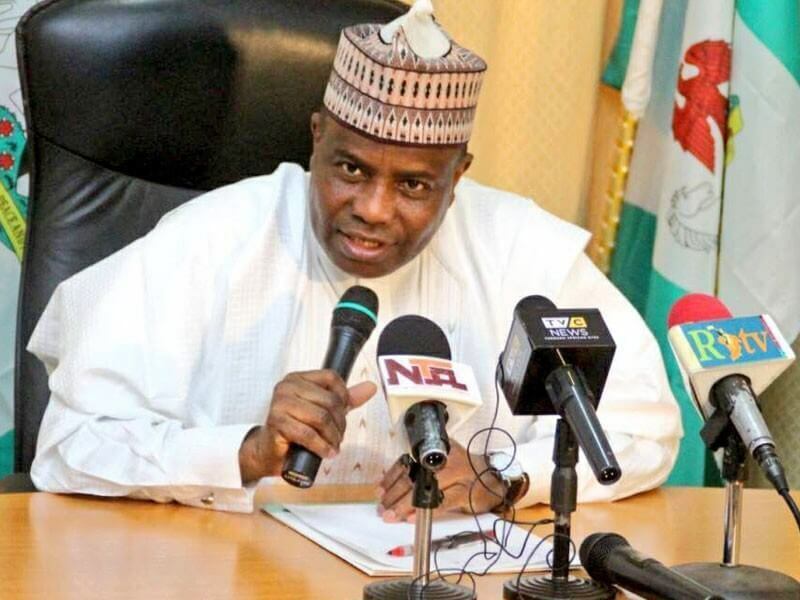 Mr. Tambuwal who is believed to nursing presidential ambition recently defected from the ruling APC to opposition PDP. Addressing journalists in Sokoto on behalf of others, former Chairman, Sokoto north local government area, Dasuki Haske said they aides are not willing to go with the governor to PDP. “We want to assure that we will work for the success of APC in the state come 2019 general election. We will work for the re-election of President Muhammadu Buhari and our state party leader, Senator Aliyu Magatakarda Wamakko,” Mr. Haske said. In her address, a former Special Assistant to Tambuwal, Rabi Tudunwada, alleged that she and other aides of the Governor were called and compelled to swear with Holy Qur’an to secure their promise to defect from APC before they could be paid their August salary. Mrs Tudunwada disclosed that some of them had refused to be part of the oath, which informed their decision to resign from their respective positions. She alleged that both PDP and Governor Tambuwal will be rejected in the forthcoming general elections by the electorate. Another aide of the Governor, Abdullahi Ahmad Sokoto, said all the ex-aides will work for the success of the State’s APC. The State’s APC Chairman, Isah Achida, in his remarks thanked the affected Special Advisers and Assistants for their loyalty to the party. While promising them rewards for being loyal to the party, he assured them of equal treatment as loyal party members.